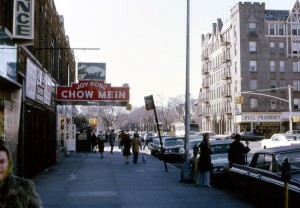 I have this thing for kitschy Chinese restaurant design, so this picture from 1971 made my day. 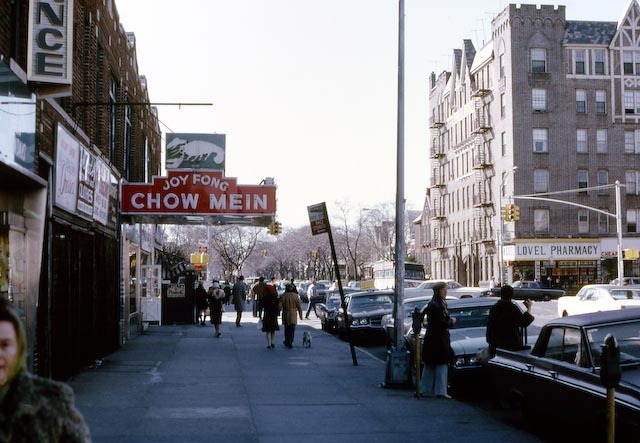 Joy Fong Chow Mein was located on Avenue J and Coney Island Avenue in the Midwood neighborhood of Brooklyn nearby Di Fara’s Pizza and the old Midwood movie theater (which closed in the early 80s). Joy Fong is also long gone, including this massive sign. ← Welcome to Cerebrum. Do you have a reservation?